A longstanding Derbyshire business that trades in the spoken and written word is celebrating an award win. Peak Translations in Whaley Bridge, won Project Management Team of the Yearin the annual ATC Language Industry Summit Awards. The awards, hosted by the Association of Translation Companies, seek to recognise and celebrate excellence in the language services profession. 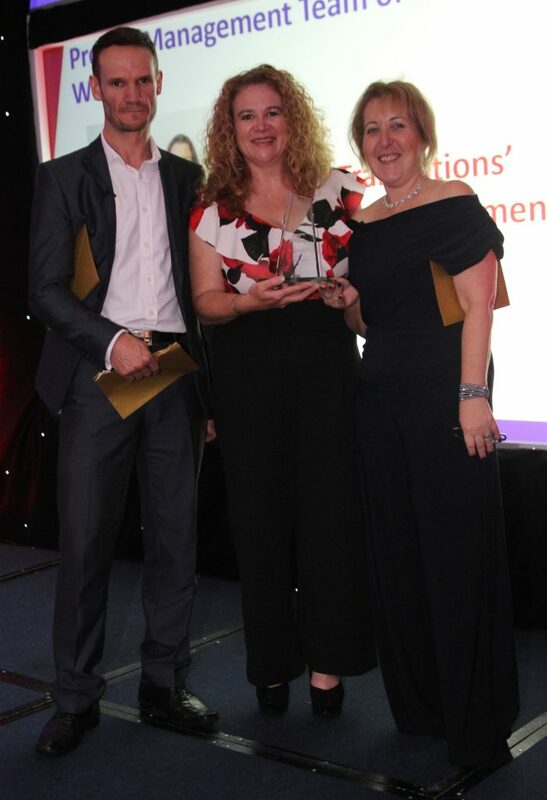 Project managers Beth Boorman, of Whaley Bridge, and Madeline Prusmann, of New Mills, were delighted to be announced as the winners on Thursday (20th) evening at the gala dinner and awards ceremony in Cardiff. Peak Translations, which enables companies to expand globally by removing the language barrier, this year celebrates its 40th anniversary. It started life in Cheshire and is now located on the borders of Derbyshire, Greater Manchester and Cheshire. It provides professional translation services to manufacturing, medical, financial, legal and creative organisations the world over. A member of both the Greater Manchester Chamber of Commerce and the East Midlands Chamber of Commerce, this proficient High Peak firm, deals in a wide variety of languages and its linguists have sector-specific technical expertise.